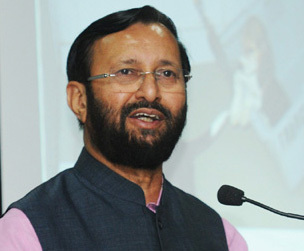 Union Minister of Environment, Forest & Climate Change, Shri Prakash Javadekar has said that vigorous cleanliness campaigns need to be conducted before cleanliness becomes a way of life for the country. In the last phase of the flag-in ceremony of ‘Swachh Bharat, Swachh Himalaya’ campaign, organised by the Border Security Force at a function here today, Shri Javadekar lauded the BSF for undertaking the campaign as part of its Golden Jubilee expedition. The Border Security Force completes 50 years of service to the nation on 1st December 2015. The BSF carried out a ‘Swachh Bharat Swachh Himalaya’ in Himalayan region from October 12 to November 25, 2015. The 45-day long expedition was conducted in four phases, covering approximately 1500 kms across three states. The aim of the campaign was to create awareness among the civil population and various other stakeholders on the need to ensure basic cleanliness in day-to-day life, besides various measures for ensuring cleanliness of Himalayas that encompass many glaciers, the Ganges and connected environmental issues of the Himalayan valleys and foothills. The last of the four phases, included a cycling expedition from Rishikesh to New Delhi, has been campaigning for a safer environment. The expedition also organized a series of free medical camps and interacted with groups of civil society to spread awareness about cleanliness in daily lives. Speaking on the occasion, Director General Border Security Force, Shri D K Pathak also said that the sentinels of the borders are not only confined to the assigned duties, but are also the sentinels of the environment.